events – Reader! Read Faster! New York author TONY O’NEILL will join us on November 25th for a noir-filled night of novel reading, with a special support slot from GRAEME SHIMMIN, author of spy thriller A Kill In The Morning. Support will come from Bad Language names DAVID HARTLEY and FAT ROLAND. 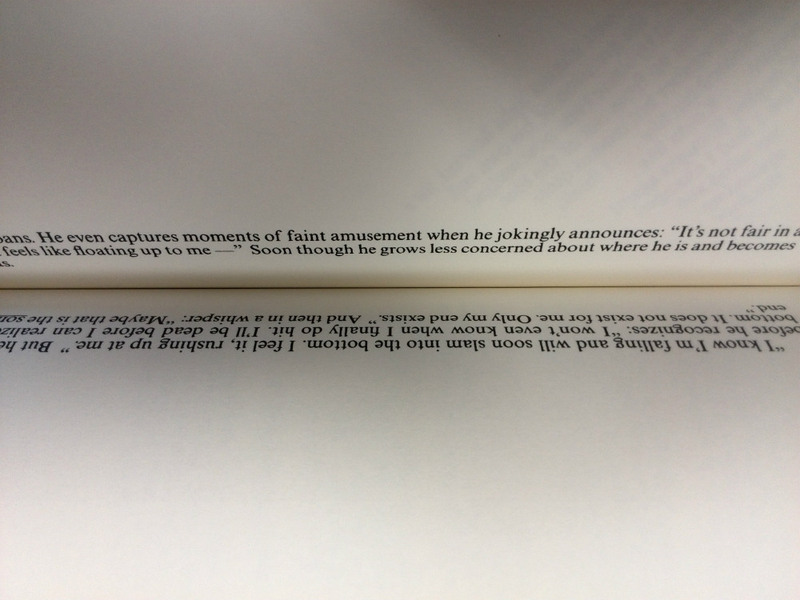 “I fell in love with every page,” adds Welsh. Tony is a founding member of the Brutalists, a literary collective alongside Adelle Stripe and Ben Myers. He has played in Kenickie, in The Brian Jonestown Massacre, and with Marc Almond and Kelli Ali. Alongside novels, he has co-written memoirs and has written short stories for the likes of 3:AM Magazine. He’s even written poetry. Basically, he’s done everything. 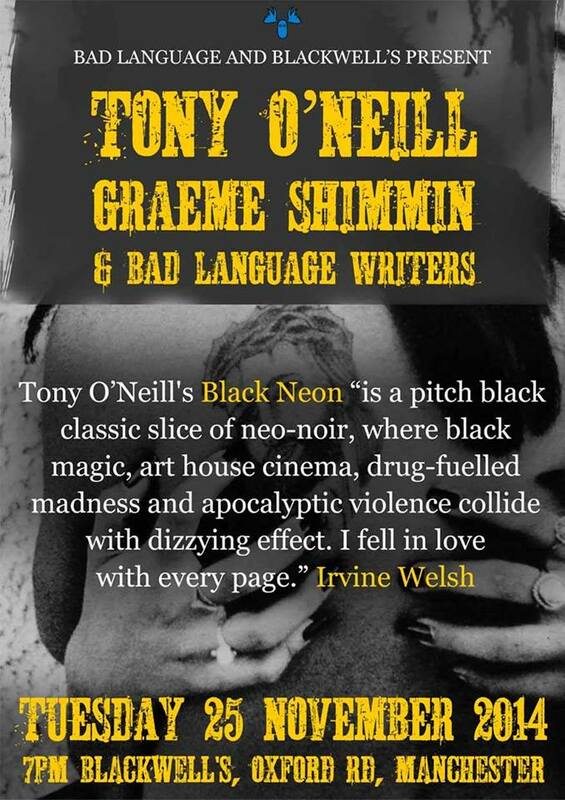 Tony O’Neill appears courtesy of Bluemoose Books and Bad Language. This event takes place at Blackwell’s bookshop, Oxford Road, Manchester on Tuesday November 25th 2014 at 7pm. Entry is free. Join the Facebook event page here. On November 27th, Blackwell’s will host an evening of talks with selected authors from the brilliant, bestselling book series Very Short Introductions. Tim Bayne talking about thought. 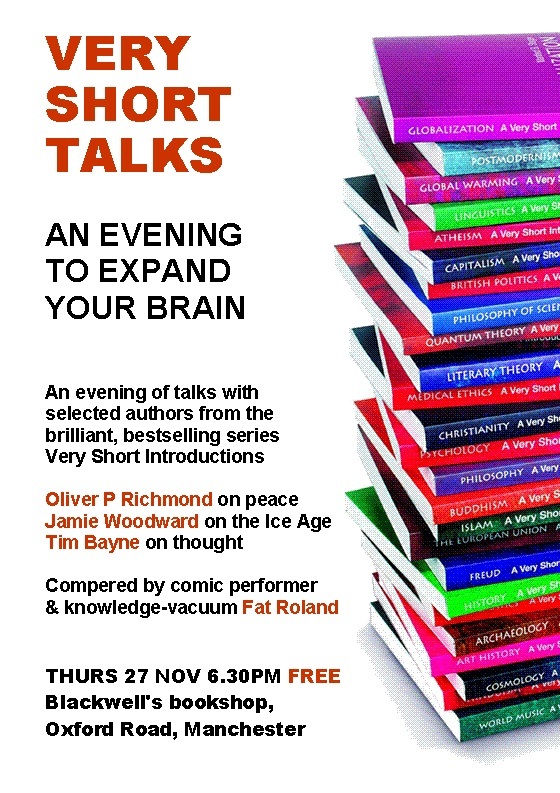 Come and have your brain stretched in this entertaining (and FREE) evening packed with facts, analysis, new ideas and buckets of enthusiasm. Hosted by local compere and comic performer Fat Roland. Brought to you by Blackwell’s and Oxford University Press. 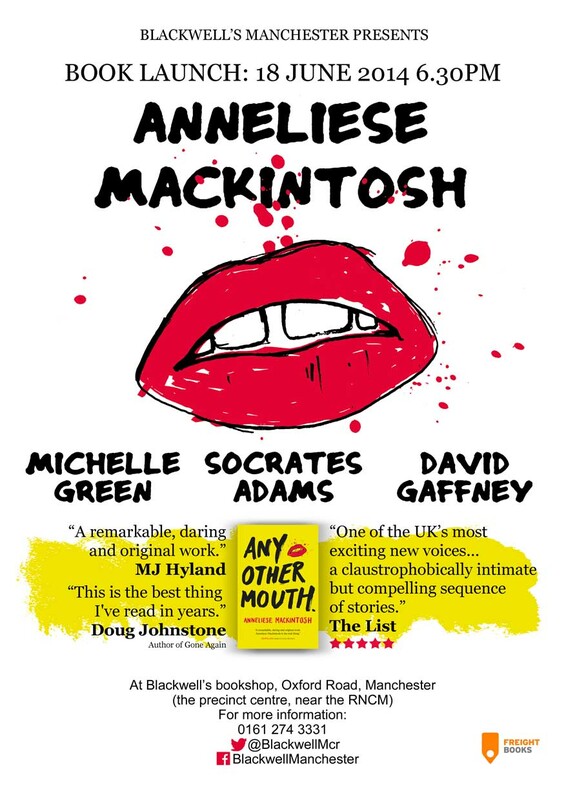 Any Other Mouth is the debut short story collection by Manchester-based author Anneliese Mackintosh, and we’re delighted to be hosting the English launch of the book here in Blackwell’s. Anneliese Mackintosh is a Bridport Short Story Prize shortlistee and her fiction has been broadcast on BBC Radio 4 and BBC Radio Scotland. 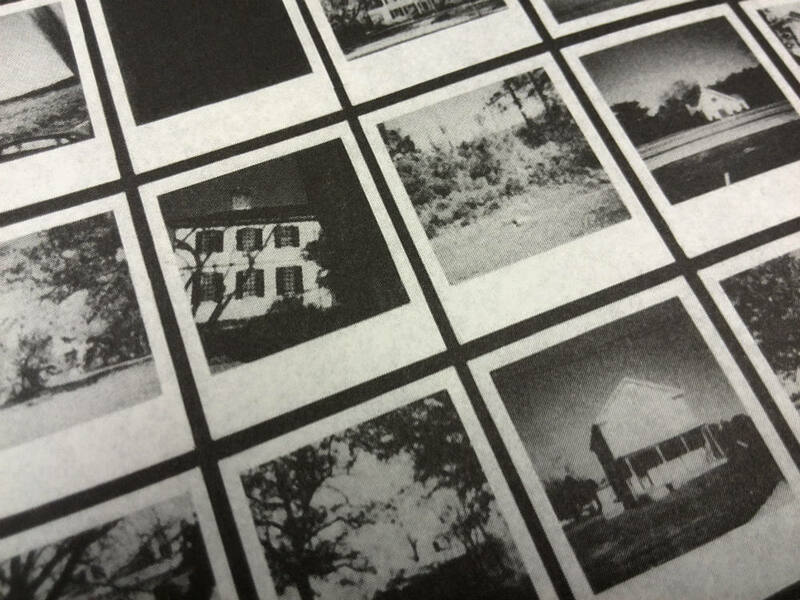 She is an associate editor in her spare time, and this collection was years in the making. Supporting her on the night will be master of very short fiction David Gaffney, novelist Socrates Adams and multi-talented author Michelle Green. The event will be hosted by the inimitable Fat Roland. Click here to join the Facebook event page. Click here to read a five-star review of Any Other Mouth. Let history record that our RUINED short story night for Manchester Histories Festival was an excellent success. Eleven scribes told tales inspired by the lost buildings of Manchester: we had humour and horror, weirdness and whimsy, sadness and joy. Our sincere thanks must go to our performers Abi Hynes, Adam Blaize, Benjamin Judge, David Hartley, Joe Daly, Lee Moore, Sarah Butler, Sarah Jasmon, Sian Cummins, Tom Mason, Trisha Starbrook and compere Fat Roland. – Lest We Forget by David Hartley. 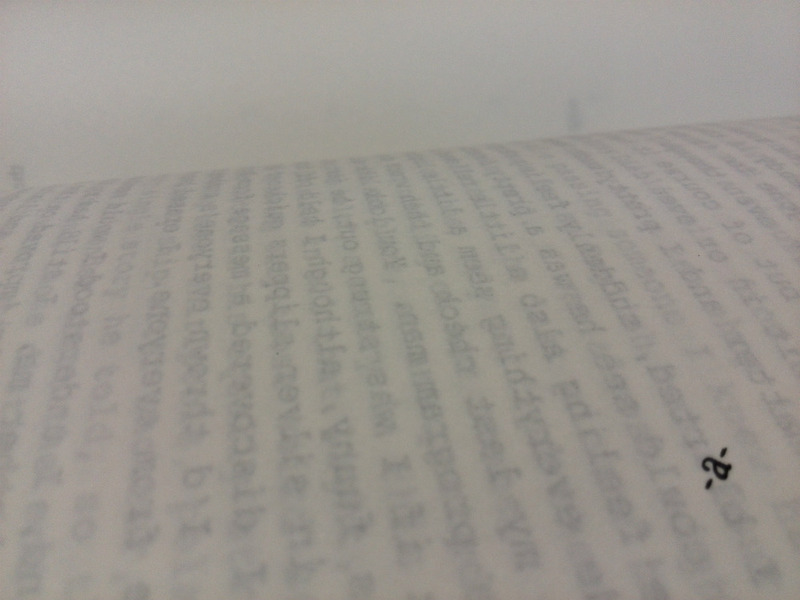 Here is our third of three bloggish appreciations of Mark Z Danielewski‘s House of Leaves as a sideways way of celebrating the release of Fifty-Year Sword on Cargo Publishing. See the other blog posts here and here. Our event with Mark is on Tuesday April 15th (buy your tickets now). This is our biggest event of the year so far and it’s unmissable. Seriously. Get a ticket or two before they all go. 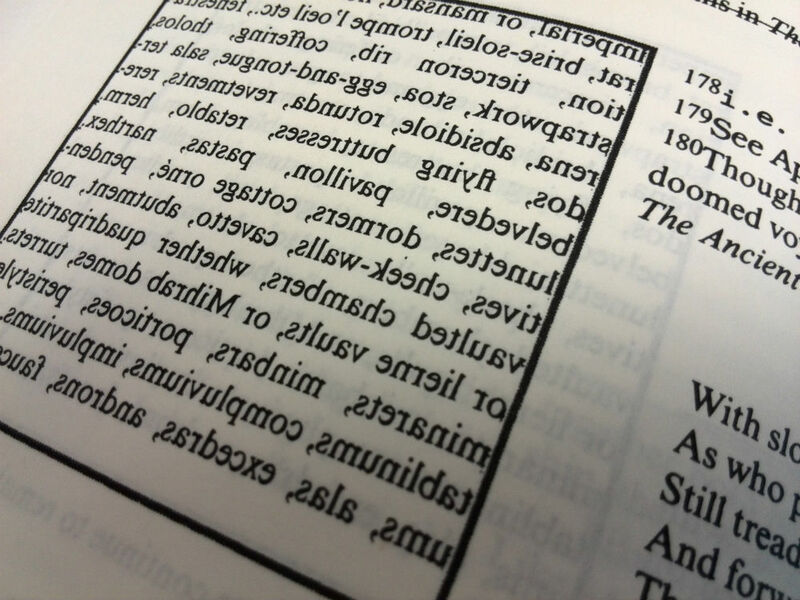 In advance of our Mark Z Danielewski event on Tuesday, we take a little time out for a closer look at the postmodern genius of House of Leaves. 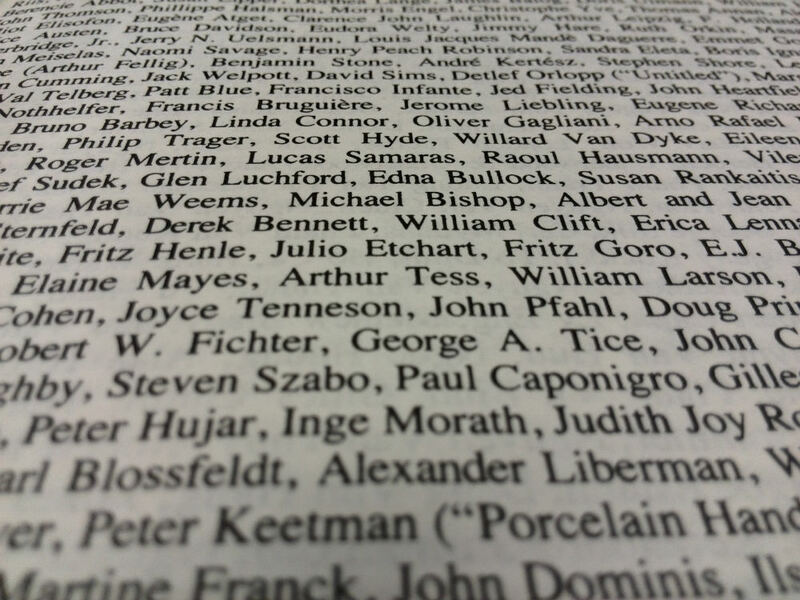 If you guess the connection between these names, you get a free lens cap. 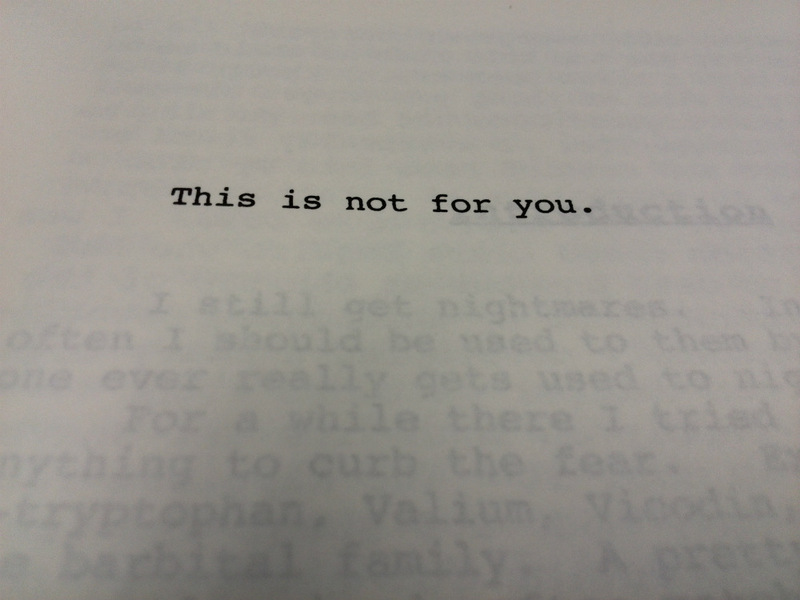 Some words just spine chilling.